LinkedIn, the world’s largest networking site for professionals, recently announced in a blog post that it has crossed the 50 million member mark in the Asia Pacific region. Nine countries in the region have more than a million members each – India (24+ million), Australia (5+ million), China (4+ million), Indonesia and the Philippines (2+ million each), Japan, Singapore, Malaysia, and New Zealand (1+ million each). 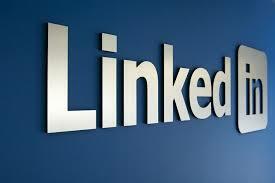 LinkedIn added 7+ million new members in India in the year 2013. In Southeast Asia, there was an increase of more than 50% in LinkedIn’s member base that reached 9+ million last year. LinkedIn members come from a broad cross-section of industries across the Asia Pacific region among which the top five are IT & Services, Telecommunications, Oil & Energy, Banking & Financial Services, and Hospitality. LinkedIn counts Kiran Mazumdar-Shaw (Chairman & Managing Director, Biocon), Tony Fernandes (Group CEO, AirAsia), Nobuyuki Idei (Founder & CEO, Quantum Leaps, and Former Chairman & CEO, Sony) and David Thodey (CEO & Executive Director, Telstra) among Asia based influencers. Members can now choose between six Asian languages when engaging in professional conversations on LinkedIn, in addition to English.